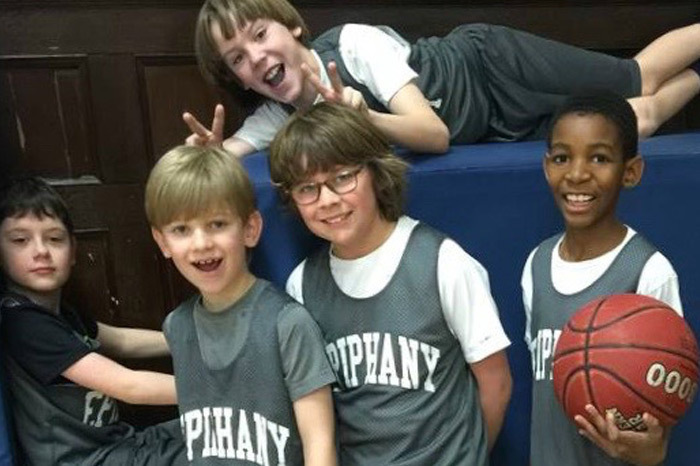 The Epiphany School offers an intramural basketball program for 3rd and 4th Graders from the School. This is a learning program where everybody plays. The games take place on the weekend in the Upper School Gym. There are usually ten to twelve teams, a girls division and a boys division. The teams compete against each other and learn the fundamentals of basketball. The season concludes with a tournament. 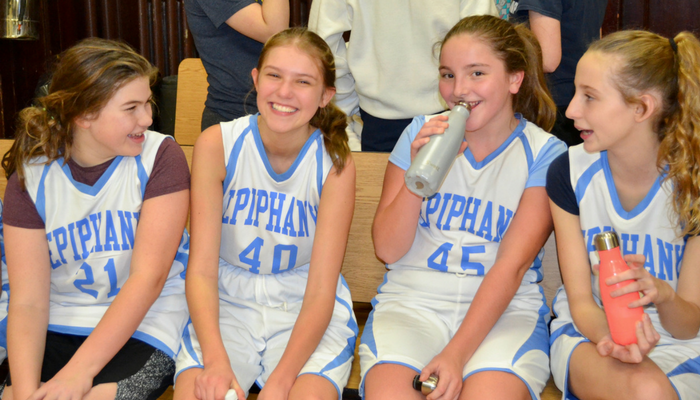 CYO basketball has been a fixture at The Epiphany School for more than 25 years, we have the largest program in Manhattan. Students from Grades 5 – 8 are invited to join and compete against other CYO teams in the Bronx and Manhattan. Principles of fair play and sportsmanship govern every game. CYO is committed to providing these programs based on integrity, fair play and the right of all individuals to participate. Each Grade from 5 – 8 has a boys’ team and a girls’ team. Teams practice weekly, and have weekly (or more) games – both at home and at competing schools. We are very grateful to our parent volunteers who make up the CYO coaching staff at The Epiphany School. Contact cyo@theepiphanyschool.org for additional information. Epiphany Blue Jay Baseball began in 2013. Teams are fielded from 5th – 8th Grade. The teams play in various leagues including Brooklyn CYO, Peter Stuyvesant Little League, and Westchester Catholic Baseball Association. The team plays competitive baseball, all are welcome, but individuals playing time will vary. The coaches keep it challenging, competitive, and instructive. 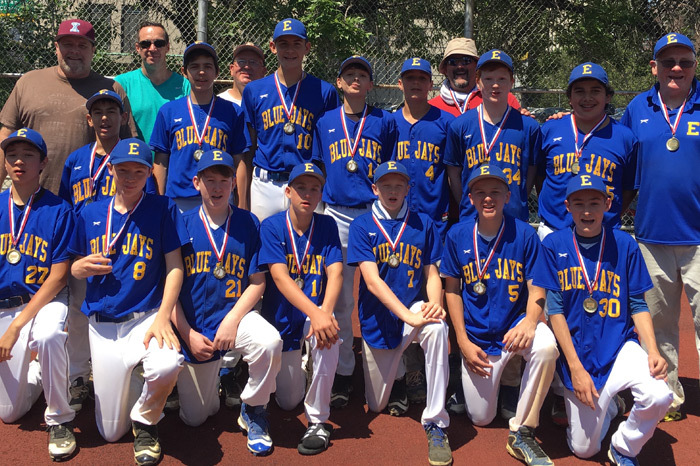 The Epiphany Blue Jays have been very successful on the baseball diamond, securing more than one championship for their school. The Epiphany Track team, coached by the Epiphany School’s PE teacher, Ms. Patti Dentice, is open to students in 5-8 Grade. 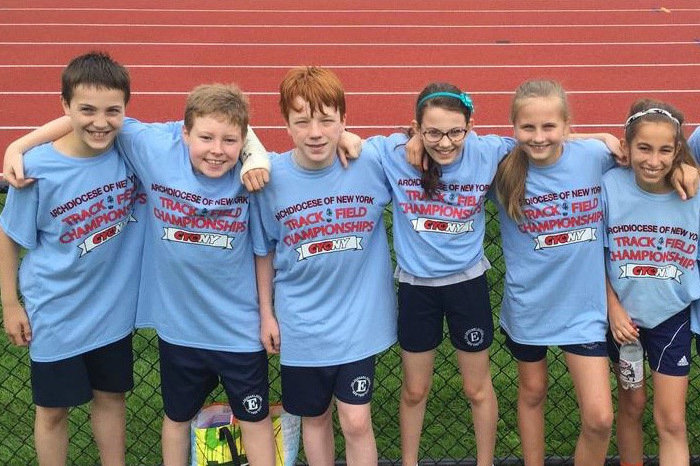 The team competes in the CYO Track season with six meets in the Bronx followed by two championship meets at other venues in NYC. We practice on the track at East 6th Street, distances as short as 50 meters and as long as 800 meters are contested at all the meets. The drills used for track complement the training used for all other sports, including soccer, basketball and baseball. After completing our 8th season, The Epiphany School has created a strong team and won many awards. At this year’s State Championships the Epiphany track team came away with 31 medals. Contact pdentice@theepiphanyschool.org for additional information. 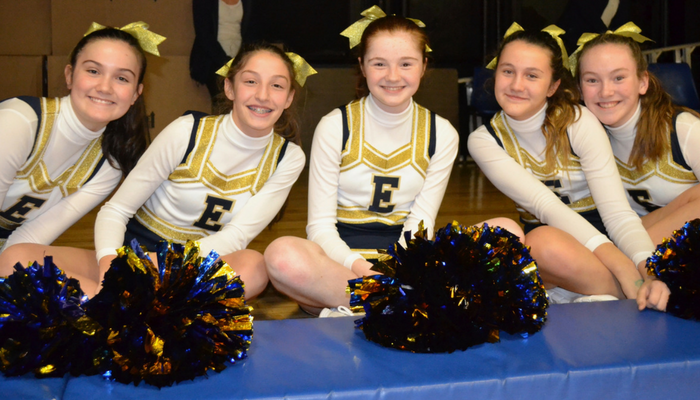 The Epiphany School Cheerleaders aim to raise Blue Jay spirit throughout the school year. Cheerleaders in grades 4-8 perfect cheers, dances, and stunts during their weekly practice. The team cheers on Epiphany Intramural and CYO Basketball teams at home games. Ms. Victoria Casciano and Ms. Katie Glover, both teachers in the Upper School, started the program in September 2017. Blue, Gold and White, Blue Jays, Let’s FIGHT! 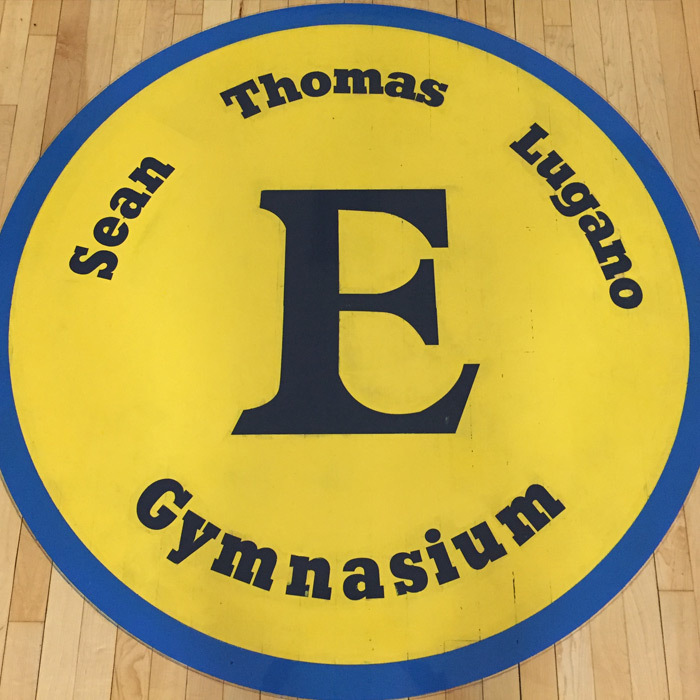 The Gym at The Epiphany Upper School is named in honor of Sean Thomas Lugano, an Epiphany Alumnus, Class of 1987. After losing him on September 11, 2001 in the World Trade Center tragedy, Sean’s family wanted to memorialize him at a place that meant so much to their entire family. The Lugano’s and their extended family have been students at The Epiphany School from 1973 – 2016. The Epiphany School is the community they call home. The Epiphany School is honored to carry on Sean’s name in our Upper School gymnasium.